CCT sells advertising space on the exterior of its buses. CCT has a permit issued by the citys of Willmar and Olivia to sell advertising space on its buses. 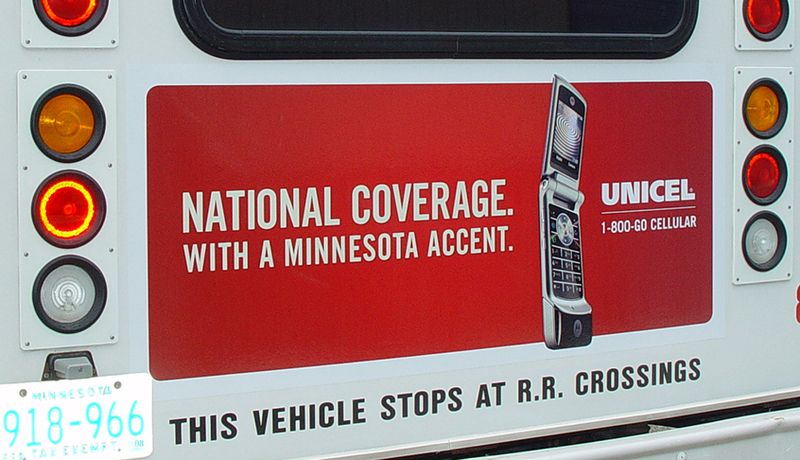 Bus advertising has an incredible reach because of the mobility of the ad (City of Willmar, Olivia and throughout Kandiyohi & Renville Counties). People notice moving objects, therefore transit advertising is very eye catching. CCT also has options available for interior advertising. If you are interested in finding out more about CCT advertising, please contact the CCT Office Coordinator at 320-214-7433 or the Olivia Office at 320.523.3589. © Copyright 2015 CCTBus.org| Design by baker graphics, inc.